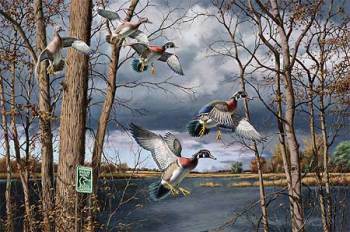 I cannot fulfill my usual editorial duties today because�I�will be busy getting ready for our annual conservation charity event tonight for Ducks Unlimited. Eleven�million acres under protection for wildlife habitat, with no government�money -�that's a darn�good cause. We will pre-post some useful new stuff today, and stuff�from the archives. No dead air! Aging eyes! Thanks - I know!